Welcome to another amazing ESAD blog hop! This months Blog hop is featuring the Colour Your Season bundle which I have been showcasing on my blog all month long! Here are my final projects that Ive done, using this wonderful bundle. I just love the dies in this bundle so first up here’s a card I made.. also using the Wood Textures and Tranquil Textures Designer Series Papers. The trim is a sneak peek of a product coming in our Holiday Catalogue which starts next month! Next up is a scrapbooking LO I did of our Centrestage event in April this year. This Centrestage event is for Silver Elite and above before our SU Onstage event the following day. 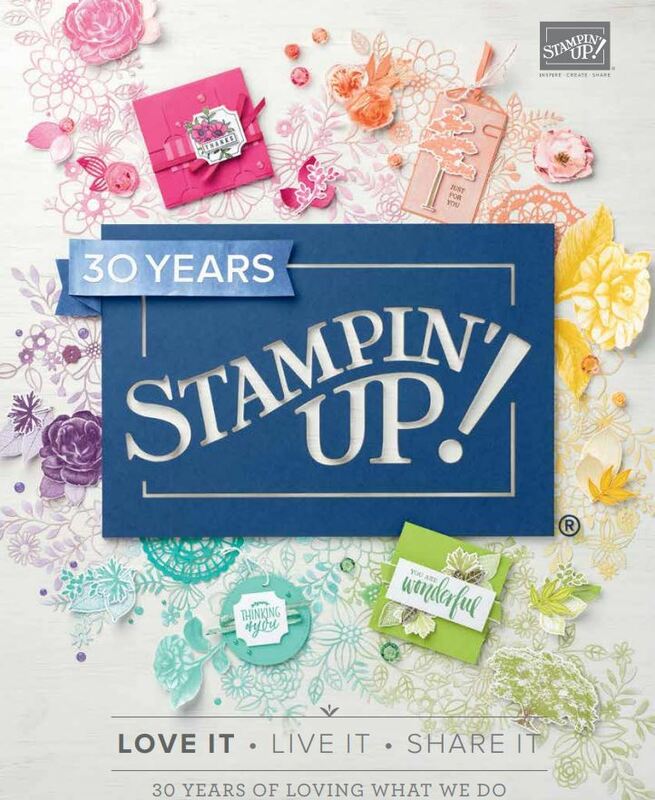 (We have a Stampin’ Up! event twice a year). I embossed some of these framelits to showcase our embossing folders on this LO. Believe it or not..my team member Karen and I found the track suits at our local The Warehouse along with the mirror sunglasses at a local discount store..fashion goes around it seems! We thought that was really funny! It was lovely to catch up with my fellow leaders at Centrestage. In this photo we have Amanda, Jackie, Kristine, Pauline, Karen and Julia. Finally, not forgetting these very versatile stamps! I made these for some of my team members for a competition I held on my team facebook page. Once again I used the Frames Elements and showcasing a new trim available in the Holiday Catalogue. They sure went down a treat! (They got other stuff too) ..like goodies from the new Holiday Catalogue and a new colour coach I bought off a fellow SU demonstrator (Kathryn Tyrrell) ..just forgot to take a picture of it all. So that’s it from me..now we are off to Fi Cobbins blog! Cant wait to see what shes done! Here’s a list of all the participants if you get stuck along the way! Thanks Katrina! I love it too and in fact dont think I can give it away just yet so will have to make another one for my team member. Great projects Delys! I love the card with all it’s rustic elements! Thanks Denise! Yes there was lots of hilarity at our event thats for sure! Thank you Nicole! I love it too! You little superstar! Look at everything you have created and they are all so clever! I am totally ordering Pillow Boxes, I love how you have coloured the negative space around the embossed flowers. Wow Delys! These are all so amazing but my absolute favourite is your embossed and coloured pillow boxes. That is such a fabulous idea! Genius!